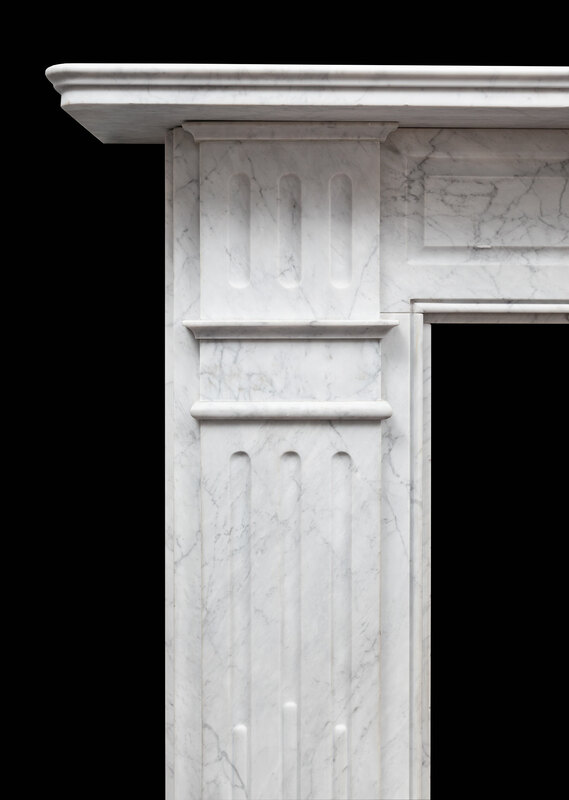 With fluted panels, crisply cut mouldings and a deep mantel shelf. 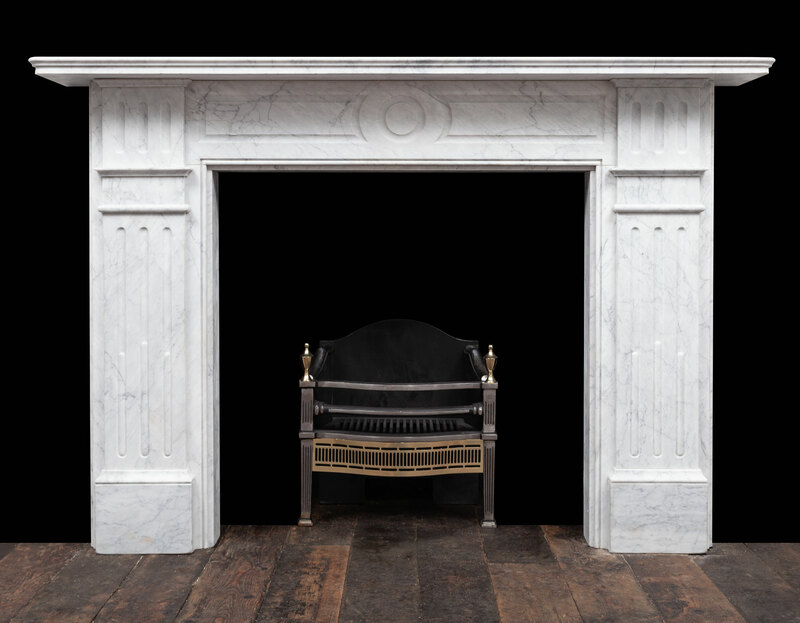 Made from a nicely veined Carrara marble. 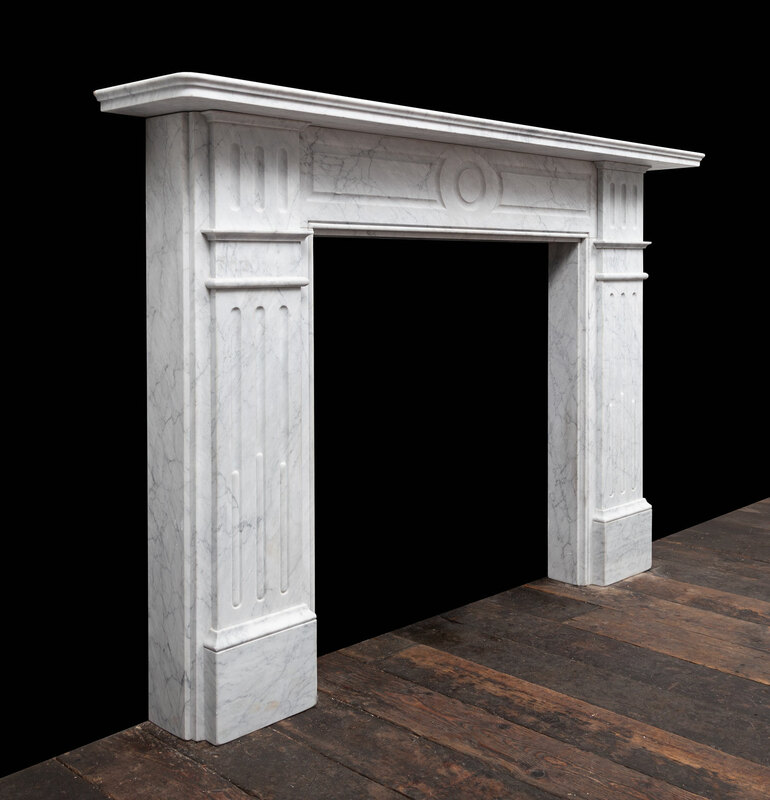 We have two of these fireplaces, which came from the same period property.